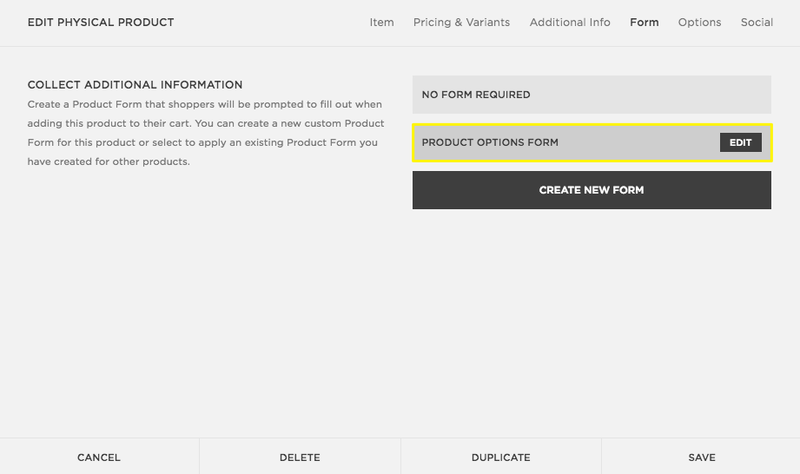 You can create custom product forms for customers to complete when they purchase a specific product. These forms are great for collecting personalized information for an item, like custom engraving or lettering instructions. Note: Custom product forms are useful for gathering information related to individual items. To collect information relating to the entire order, like a gift message or special delivery instructions, create a custom checkout form instead. In the Home Menu, click Pages. Click a Products Page. Double-click a product to open the product editor. For detailed steps, visit Editing a product. In the product editor, click the Form tab. Enter a name in the Form Name box. Then click the + icon to add a field. Select a form field to add. 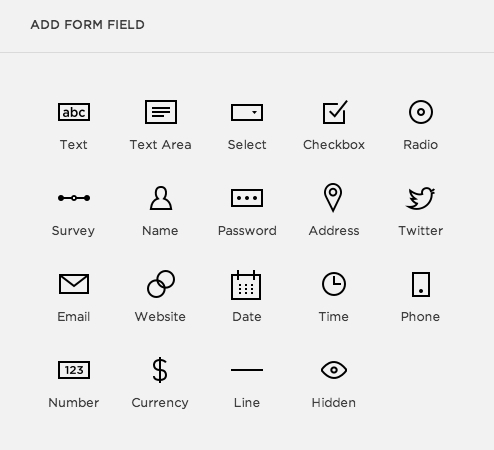 To learn about each form field, visit Form fields explained. 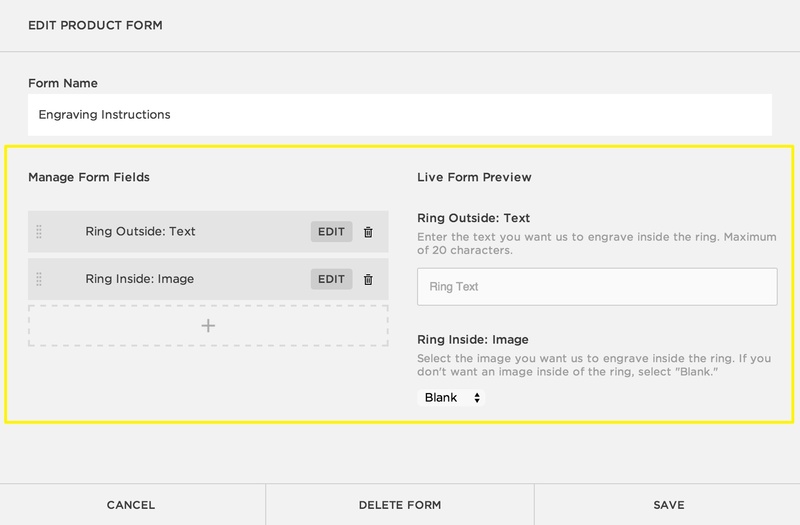 As you add and edit fields, a preview populates to the right. Suggerimento: per assicurarti che i clienti completino il modulo, seleziona Obbligatorio accanto a tutti i campi richiesti. 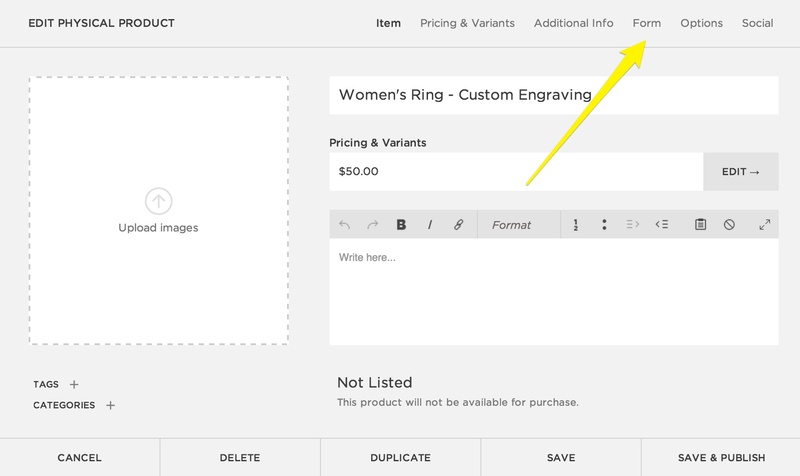 A custom product form opens as an overlay when a customer clicks Add to Cart. If fields are required, the customer can't add the product without completing the form. Customers can review and edit the form before checking out by clicking Edit Details. To preview this form, run a test order. To learn more about reviewing customer orders, visit Receiving an order. To export custom product form submissions, select a specific product during the export process. Learn more in Exporting orders. Nota: prima dell'esportazione, assicurarti che tutti i campi modulo abbiano nomi univoci. I campi con nomi duplicati non saranno esportati. Dopo averlo salvato, il modulo verrà visualizzato come opzione nella scheda Modulo in modo da poterlo aggiungere ad altri prodotti. L'opzione selezionata apparirà con un grigio più scuro. 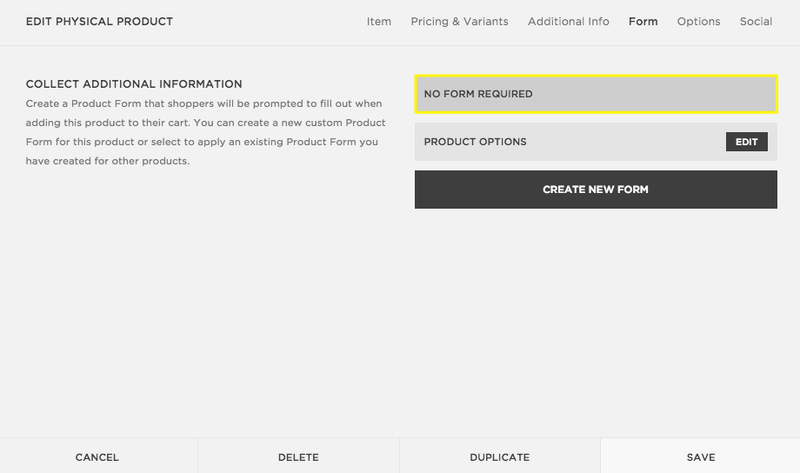 If you don't want to add a form to a product, select No Form Required. Nel Menu Home, fai clic su Pagine. Scroll down to the Not Linked section. Click the + and click Page. 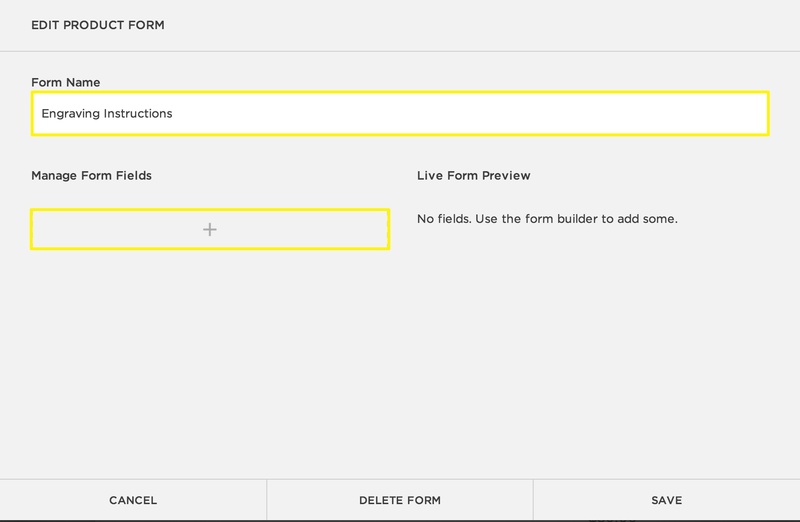 On the page, add a Form Block. Nel Menu Home, clicca su Design, quindi su Stili sito. Scroll to the Buttons section. Either change the Style to Default, Solid, or Raised, or change the Button Color to something other than white. If you added a temporary Form Block, go back to the Pages panel and delete that page. Tip: These new styles will affect all Form Block and Newsletter Block buttons on your site.